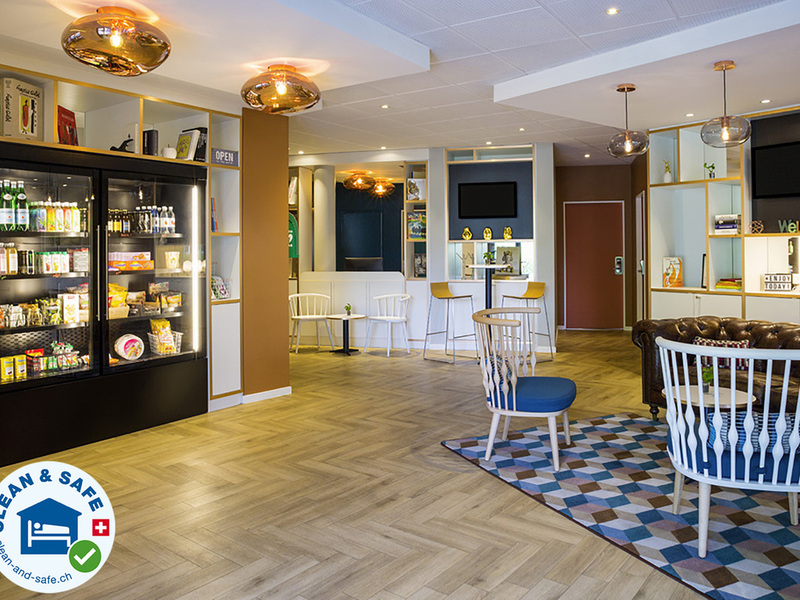 The ibis Genève Petit-Lancy hotel is located in western Geneva just 3 minutes on foot from the Geneva Business Center (GBC). A tram opposite the hotel takes you into the city in just 10 minutes and to the train station in 15. Geneva airport, Palexpo and the International Conference Center of Geneva (CICG) are 20 minutes away by bus. The hotel is fully non-smoking with 88 soundproofed and air-conditioned rooms, as well as a bar serving snacks and light bites 24 hours a day. Free public transport and WIFI. The pedestrianized area, old town of Geneva and the lake, where you can enjoy a boat trip, are just 10 minutes away by car. The airport, PALEXPO conference center and ARENA, where music events are held, are also only a 10-minute drive away. 1.스텝들은 친절했고 호텔 위치 또한 나쁘지않았습니다. 2.하지만 화장실에선 기차 간이화장실에서 나는 하수구 냄새가 올라와서 호텔을 옮겨야하나 고민했습니다. 3.또한 이비스측에서 호텔투숙전 잘못된 인보이스를 보내주었습니다. (성인2명 투숙인데 1명 투숙 가격으로 잘못된 인보이스를 보내주셨더군요 이미 한달 전에 예약을 변경하고 컨펌메일까지 받은 상태였습니다) 마지막 체크아웃시 인보이스상의 가격과 실제 지불한 가격이 틀려서 프론트측에 문의한 결과 인보이스가 잘못되었다는것을 확인할 수 있었습니다.